I have some sad news, y’all. For the past week, I have been feeding these starters in an attempt to revive them after dragging them from Texas to Virginia FIVE YEARS AGO. We’ve been through a lot together, these starters and I. Two states. Four homes. Three moves. Two children. Lots and lots of bread. I thought they would pull through. There was some visible activity at first. But after zero activity for the past three days, I removed the lid and smelled acetone. 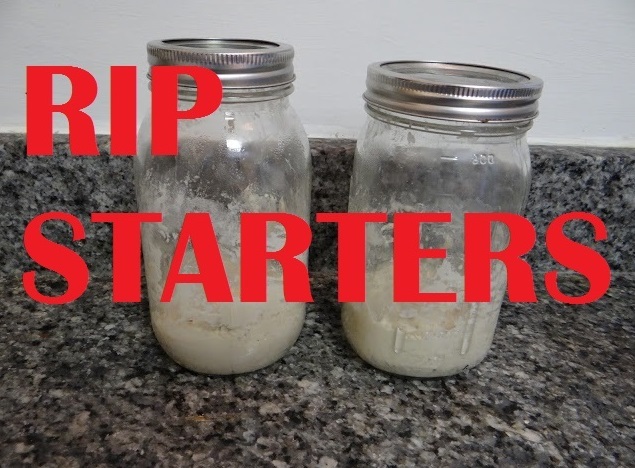 That means the starter has converted, in the absence of food for the past five years, to eating gluten protein instead of starch. So even if I did somehow manage to get the starter active and bubbly, I couldn’t bake with it because it would eat the gluten and create a gloppy mess. But there is a happy ending to this story. In this post, I mention that at some point in 2008, I gave some of my starter to Mr. Bread Maiden’s mother, aka Slow Learner (her chosen nickname, not one I would EVER call her!). I killed off my starter at some point in 2009, after which she gave me some of her starter, which had begun with my seed culture. Since then, she has continued to keep hers going strong, and I will probably get another sample from her this weekend. So even though I’m a terrible sourdough starter parent, I will try my best not to neglect it quite so long this time. 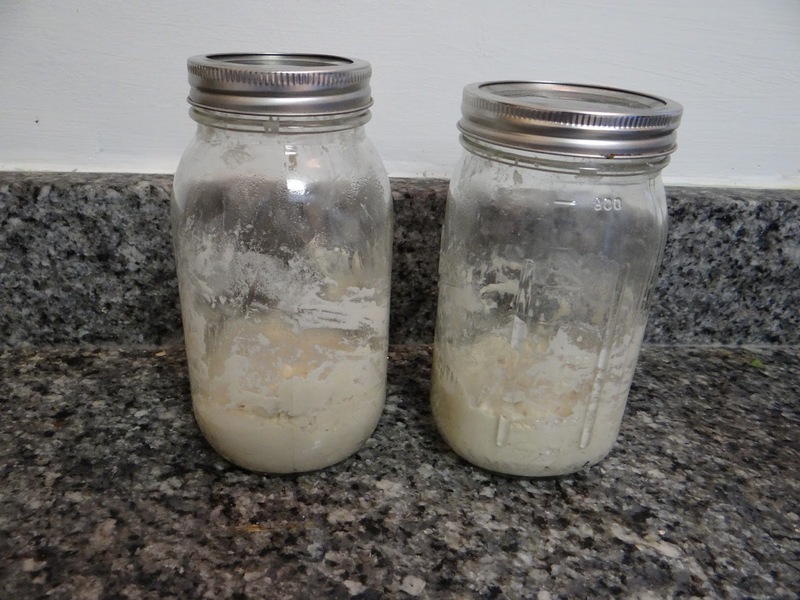 Expect a post from me (a chastened sourdough parent) about sourdough starter next week.